A lifelong conservative, I am a Vietnam-era military veteran with experience as an intelligence analyst and report writer, editor of Windjammer, an overseas naval newsletter, and a graduate of Regents College in New York. In August 1996, I founded BrotherWatch, a newsletter which examines political, social, cultural and religious issues from a Christian conservative perspective. It has featured interviews with people across the political spectrum, from Alan Keyes to Alan Colmes. I was editor of Transformation Press, the flagship publication of Transformation Christian Ministries, from 1996 to 1998. I have published articles in The Lambda Report, The Washington Monthly, The Palladium-Item, The Worldwide News, The Last Ditch, The Maryland Star and Expanse magazine, and my letters to the editor have been published in The Washington Times, on MSNBC, and on the Fox News Channel. As a lay preacher for New Life Fellowship in Baltimore, Maryland, I wrote and narrated several Christmas and Easter plays, oversaw small group prayer meetings, and gave sermons and other presentations to the congregation. 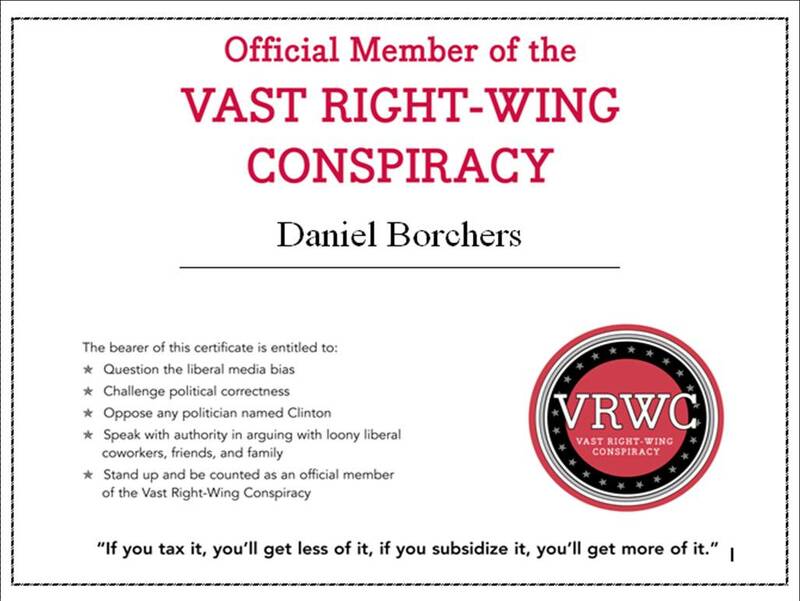 I am a signatory of The Manhattan Declaration and a member of the Vast Right-Wing Conspiracy. I have appeared on numerous radio talk shows, including The Lonesome Charlie Show, The Joyce Kaufman Show, Louisianna Live with Jim Engster, The Chris Bowman Show, The Richard Kaffenberger Show, Talk of the Town with Evie Ybarra, The Louie Free Show, The Jeff Katz Show, Talkline with Doug Graham, the Doug Stephan Show, Bert Lee Show, The Frank Beckmann Show, Michelson in the Morning, The Brian Shaw Show, The Hal Ginsberg Show, and Basham & Cornell. I can be reached at brotherwatch AT yahoo DOT com.